I choose a patch on the ceiling and stare until my eyes lose focus, same way they tell you to look at those dumb 3D eye pictures. How when you’re not really looking you can see everything. My breath slows, deep to the pit of my stomach, a barely there breeze grazing my lips. Counting one pink elephant, two pink elephant, three pink elephant. In my peripheral, the familiar blur of alabaster skin. The curved smear of cranberry lips telling me, hush now. Telling me, everything’s alright, honey. 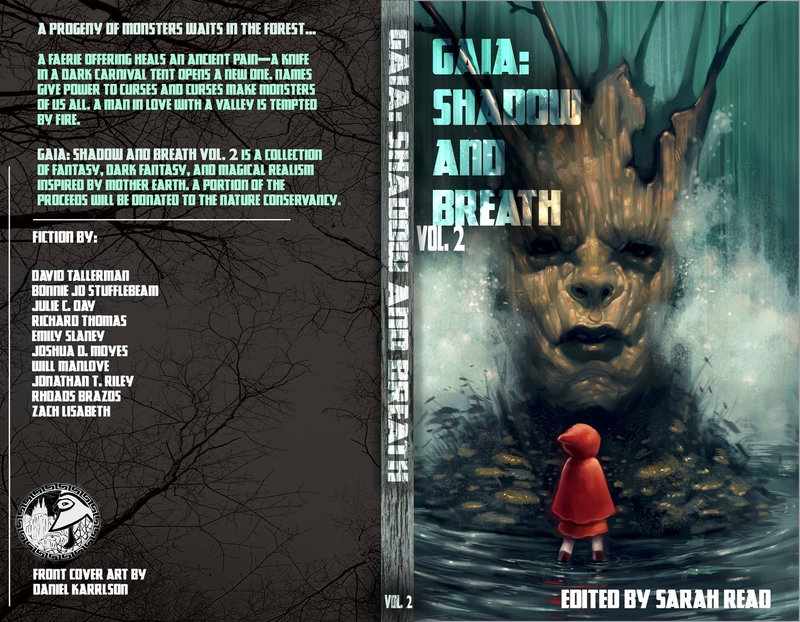 My short story Lady Pincushion and the Circus of the Dead is now available in Gaia Shadow and Breath Vol 2, produced by Pantheon Magazine. 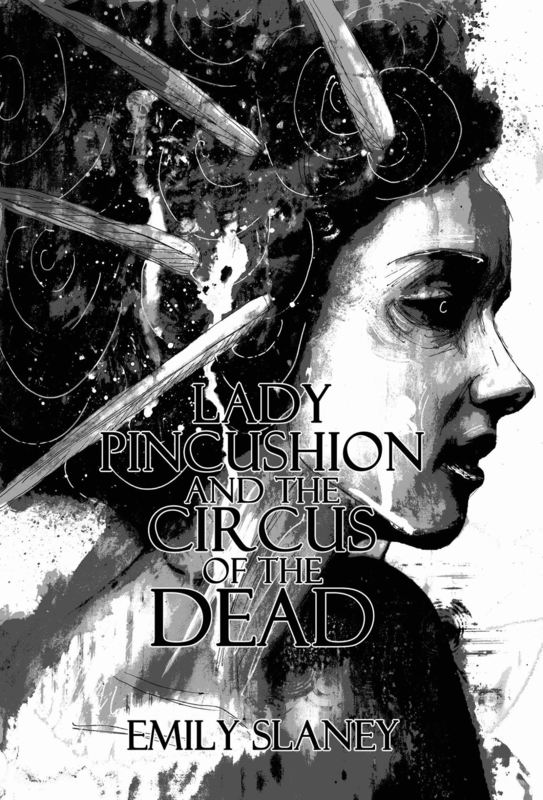 It features stories of fantasy, dark fantasy and magical realism by a bunch of great authors *check out the cover photo below* AND a portion of the proceeds are donated to The Nature Conservancy. You can get hold of a copy from Amazon US, Amazon UK and Createspace. Orders from createspace may use the code CFAK5JBZ to get a 15% discount.